Thank you Tara Wilson for the invitation to this International Wood Fire show. I chose a group of smaller Animalware pots from my August firing for this show. I’m enjoying the black ash glaze lately. It is reminiscent of the Etruscan wares I love & it looks like black licorice. 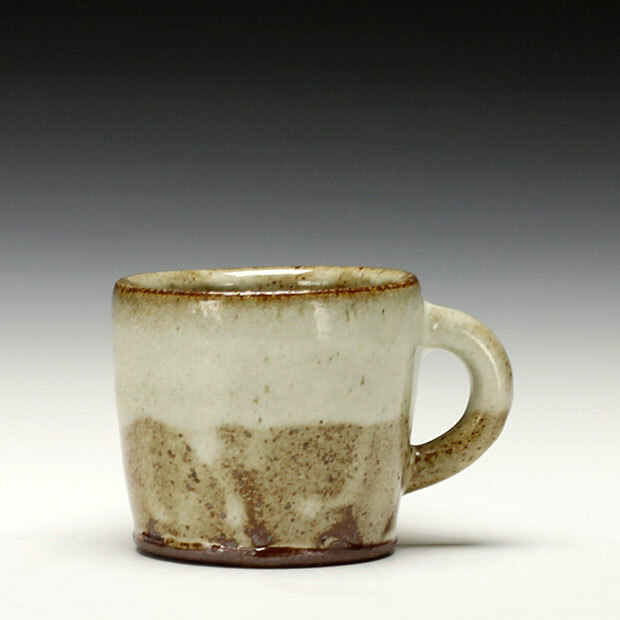 The yellow ash glaze was drier this firing & has a very rustic, worn surface. Most everything I do in my daily life relates to my passion for art. I surround myself with what I find beautiful and seek out images and objects that resonate. I love making things at the wheel or the easel and I love being lost in the moments of making or “in the search”. Watching, feeling and experiencing the beautiful natural qualities of clay and oil paint are what make this searching such a pleasure. Working from a foundation of folk tradition, I make pots with food, flowers and candles in mind. For me, this involves using a variety of hand processed local clays and glaze materials, single firing in a wood burning kiln, and using a kick wheel. These ingredients promote surprises and keep my craft connected to the natural world. My pots continue to change over time under the influence of pottery making traditions adopted from my teachers Will Ruggles and Douglass Rankin. Several trips to central Italy have inspired a figurative direction I call Animal Ware which currently takes the form of candlesticks, vases and bowls. I began painting with oils as a Resident Artist at Penland School of Crafts in North Carolina in 1996. While most of my time is devoted to pottery making, evenings are spent painting. Since working in Cortona, Italy, with the University of Georgia between 2006 & 2013, I have focused on still life and landscapes. In Italy, in an environment where everything is at once new, old, beautiful and interesting, I was constantly inspired & challenged. Shawn Ireland was born in Lancaster, PA. He received his BFA from Kutztown University in 1990. Over the next 5 years he attended 25 pottery and painting workshops at Penland School of Crafts. In 1991, after a two month workshop with Will Ruggles & Douglass Rankin, he fell in love with clay and fire and was determined to be a wood fire potter. From 1993-1995 Shawn lived at Penland as part of the Core Student work exchange program. Then from 1996-1999 he became a Resident Artist at Penland School of Crafts. He Built a catenary arch wood kiln and made pots full time, experimenting with local clay & glaze materials. During which time he also began to explore oil painting. In 1997 Shawn Ireland Pottery was established. Shawn received the Visiting Artist Internship from the University of Georgia (2006-2008). He spent three semesters potting and oil painting in beautiful Cortona, Italy. In 2012 & 2013 he was Studio Coordinator for University of Georgia in Cortona, Italy. Shawn was the 2015 Resident Artist Coordinator at Scuola Internazionale di Grafica. Venice, Italy.